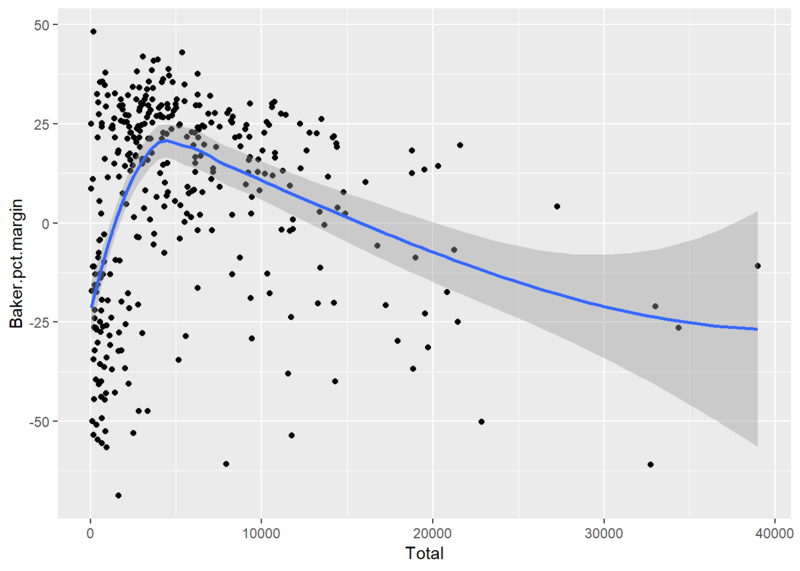 Is there a relationship between number of votes in a community and which candidate won? A scatterplot can help show trends. However, Boston is such an outlier population-wise, that it becomes difficult to see what’s happening in the rest of the state (Figure 12.6). 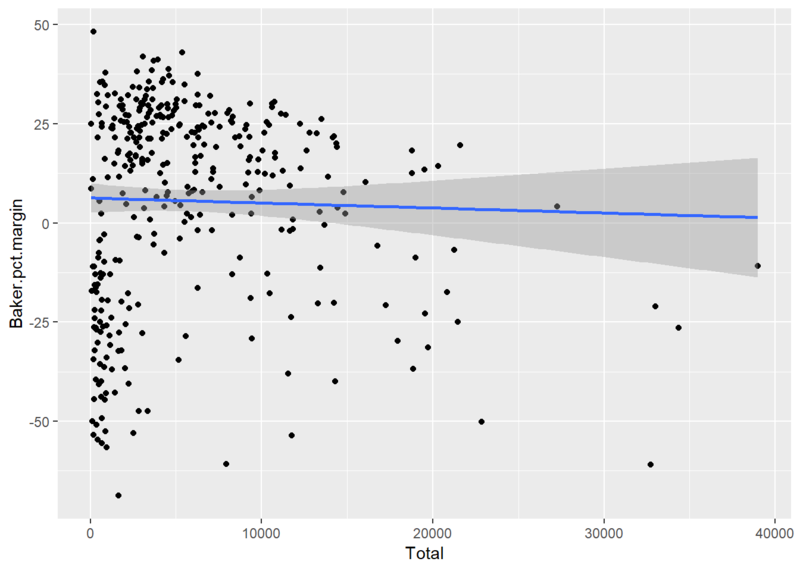 Figure 12.6: A scatterplot of population vs. percent victory margin. 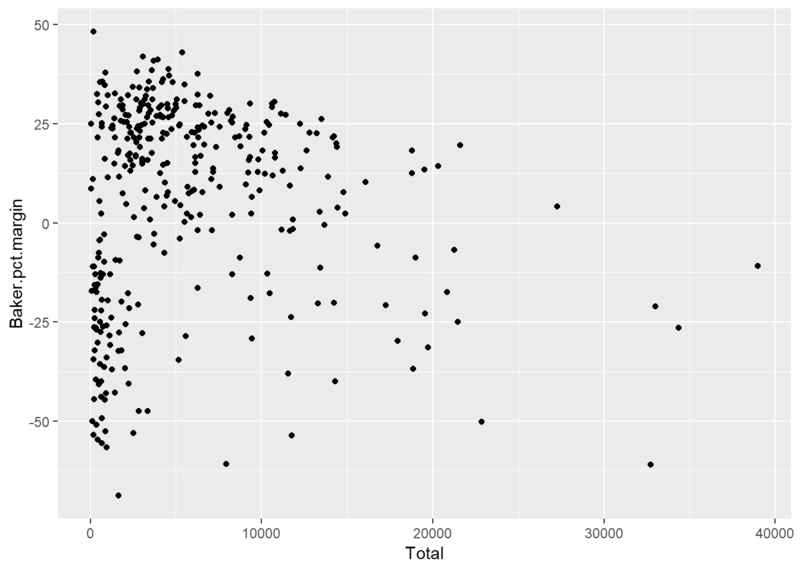 Figure 12.7: Scatterplot with outlier Boston removed. 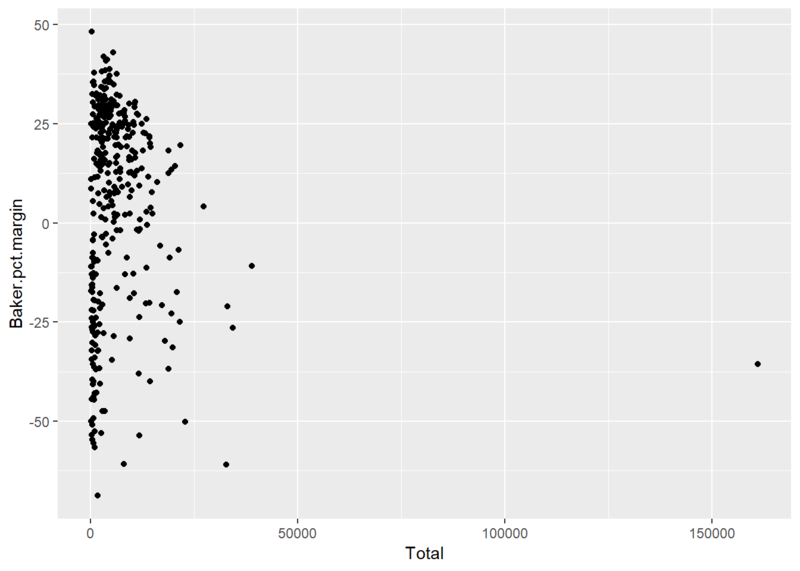 Figure 12.8: Scatter plot with linear regression line. cor(winners$Total, winners$Baker.pct.margin) will give more details, including statistics such as p-value and 95% confidence interval. Figure 12.9: Letting R pick the model. If you want to do more correlation calculations, there are several R packages that might be of interest. corrplot is designed to visualize correlations; the package includes an introductory vignette that can tell you more. The corrr package is billed as “a tool for exploring correlations,” including rearranging correlations based on the strength of relationships.